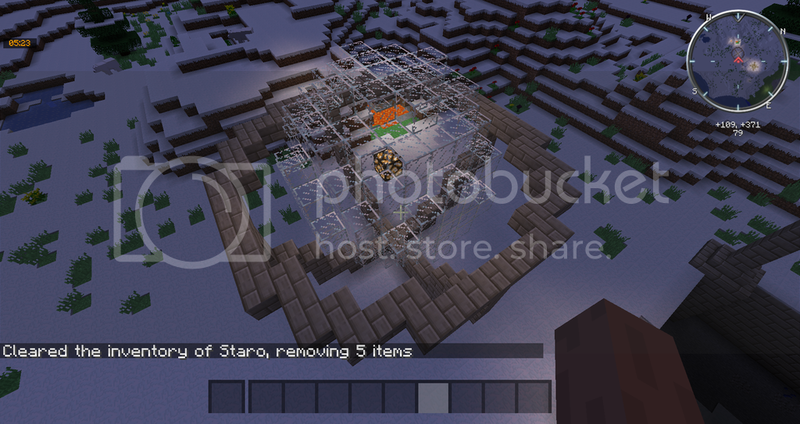 This mod has several lights which can be controlled using redstone (optional). The normal light doesn't use RF and gives as much light as a glowstone block but there are two more advanced levels which will lit up a bigger area (bigger then what a glowstone block can do). These require RF power. There is a flat light variant as well as a full block. Each variant has five colors. This mod requires McJtyLib and CompatLayer. Feel free to use this in any modpack. Getting a crash when opening the light GUI. As soon as I right click the lamp the game locks up and then crashes. I can't seem to find any way of powering these lights with fluxducts. If I place a duct next to the light and hook it up to power it lights up for about a half second and then stops accepting power. can you make it compatible with wireless redstone mod like WR-CBE to make thing a bit compact? Does that mod still exist on 1.12? So why not use rftools wireless redstone then? That lamp will receive a remote redstone signal to light up or turn off base on overworld time and I use redstone transmitter to transfer signal from overworld to mars dimension (Galaticraft custom dimension) so I dont accidently turn off the defense's powerline during overworld's night but since the structure I want to build (in this case is a miniture sun) only have a core of 1 block thick, there no space to add remote redstone receiver inside it. So my suggestion can be boiled down into "Similar to Thermal Expansion's Tessaract but it glow when receive energy / redstone (or both)"
Cool mod! Would it be possible to make (/have a config option) to make "off" textures darker to make it easier to see the state when used as an indicator light? Really love the emissive property on these! I'm having an issue, when I set up the lights on normal mode they work fine but when putting them in extended or super modes they only accept 1-2 RF/IF/FE total and stop taking power, then if I break the power cable to them they all light up at once for about a second and then turn back off. I'm using Thermal Dynamics hardened fluxducts to connect them to power with around 1500RF/t coming into the ducts, I have 10 lights on extended mode hooked up currently so it shouldn't be a power issue. Any help is appreciated. EDIT: After some more tinkering I've found that you can't power the lights from the top or you run into this issue. EDIT2: After even more tinkering I can't seem to find any way of powering these lights with fluxducts. If I place a duct next to the light and hook it up to power it lights up for about a half second and then stops accepting power, this is on a server btw so I'll check if there are any clientside mods on the server as others have had issues with that. I am not sure how to read crash reports very well yet since I am new to Forge. Any help would be appreciated. This mod is great when it works, and I'd love for it to work. I've done a lot of investigating into the issue. I removed every single mod I had (one by one, to see if RF Lux started working), and it still crashed. All I had left was RF Lux, mcjtylib, and Redstone Flux API. It still crashed. Removed Redstone Flux API, and bang, no crashing! So, essentially, the mod is fighting with Redstone Flux (https://minecraft.curseforge.com/projects/redstone-flux). When it did work though, I was still having issues getting the light config GUI to show up on right-click. One suggestion I have, is maybe make a hand-tool that you use to click on the light block to bring up the GUI, similar to the hammer in immersive engineering. 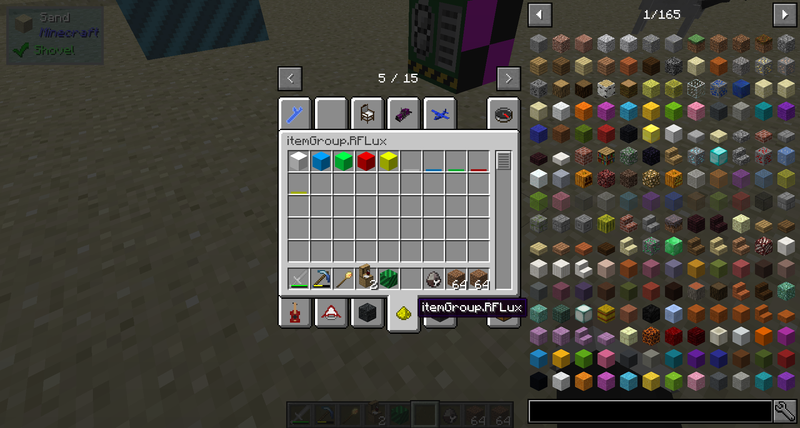 Or, make the GUI only show up when you right click with another RF Lux block. 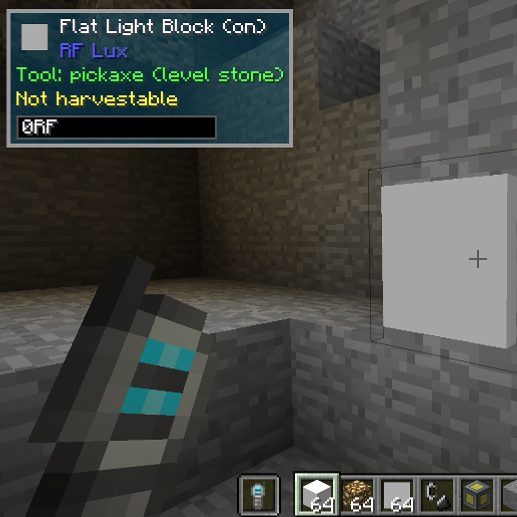 As it stands, when the mod doesn't crash, its extremely challenging to place blocks next to say a floating RF Lux block, because right click doesn't place a block, it brings up the GUI. Beyond that, I'm not 100% sure, but perhaps the hammer/tool approach to bring up the UI would stop (or limit) the crashing and/or issues people have with the UI not coming up, since right click is meant for block placement, not gui opening. At worst, that approach would still make the mod much easier to use. Sorry for the 10 miles of text. This is a great mod, and I'd love to be able to get it working. I can investigate more things if you need. Just let me know. I have a suggestion, 1st i know Nothing about modding so i don't know if it is possible but having one light block and one flat block then with shift right click and it open a color wheel where you can mix the colors and then it is applied to that block. and the option of cutting the block to the size that you prefer. again i have no idea and i give you a lot of credit this mod is awesome. Hi, i came across a issue. someone mention it may be your mod here is a link to crash report, when you have a moment can you look at it. if it is not your mod i am sorry. link to crash log , thank you for looking into this..
i got it working i had some clients mods running on server and didnt realize , i removed them and it is working now.. sorry i bothered you .. i do have a question. is there a way to change the colors to other colors like purple, pink, brown?